A conversation with Dan Negroni, CEO of Launchbox365. Dan Negroni, a millennial expert, business coach, author and keynote speaker, talks about the evolving workforce and how engineers can best prepare. 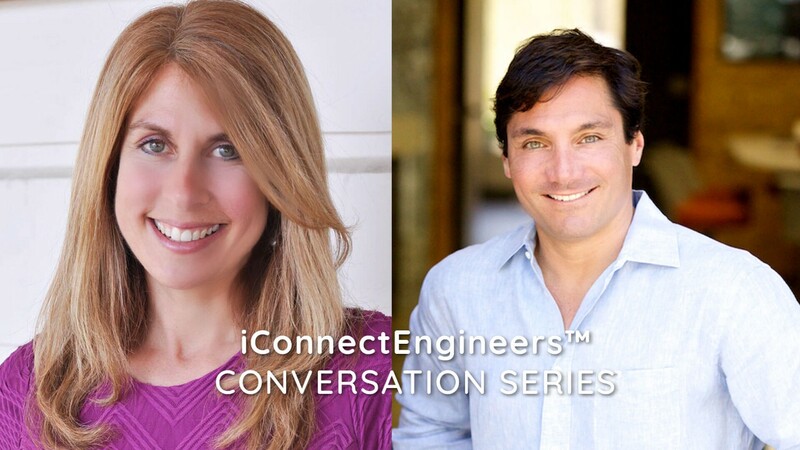 Dan Negroni was a recent guest on the iConnectEngineers™ Conversation Series. As CEO of Launchbox365, Dan empowers individuals and organizations to achieve BOLD results by creating next-generation leaders. Dan is the author of Chasing Relevance: 6 Steps to Understand, Engage and Maximize Next Generation Leaders in the Workplace. The book was very well received at the iConnectEngineers™ exhibit during the Construction Management Association of America (CMAA) conference and trade show in San Diego, California, last October. Stacey: How are Millennials (those born after 1980) changing the workplace? Dan: I think they are changing the workplace just by being their great best selves, basically questioning and calling us out on all of the nonsense that we’ve been taught to believe is proper management. They want more, they want some purpose, authenticity, great feedback, and they really want to push us to be great leaders and to want to be their best selves. I think they are really pushing the workplace in a fantastic direction. The question is: how much are we resisting and can we dive in and really support them? Stacey: In a study conducted by Millennial Branding report, it was found that 45 percent of Millennials will choose workplace flexibility over pay. In your opinion, why should engineering companies/organizations pay extra attention to workplace flexibility? Dan: I think mostly because the world is different now. We’ve had a tremendous amount of disruption and the way people work is completely different, even the way that engineers work. We have much more flexibility, we work globally, and we have the Internet. Stacey: How can engineering employers shift to better fit the core needs of Millennials and future generations of workers? Dan: I think that employers need to decide what does engagement look like for their particular employee. Employers need to focus on engaging that next generation Millennial to be their best selves. They need to focus on making it about the employee so he or she can serve the customer. In an engineering role, it may be user interface, it may be coding to develop the best product, or it may be a solution through mechanical engineering…but whatever it is, the focus needs to be on the customer; we cannot serve our customers if we don’t serve our employees first because they will want to leave us and they’ll be doing everything else that looks like disengagement. I think 71 percent of Millennials in the workplace are disengaged and it costs us $450 billion per year. That cost is astronomical and if we want to solve that cost we need to focus on what our employees are looking for. Watch Dan’s interview to learn more ways engineering companies can coach millennials to drive results and the number one thing Millennials want in the workplace. Dan also discusses Generation Z, the next generation after Millennials.